This superb electrical appliance boasts 2000W of heating power, and is enhanced by ceramic elements for extra-efficient heating. 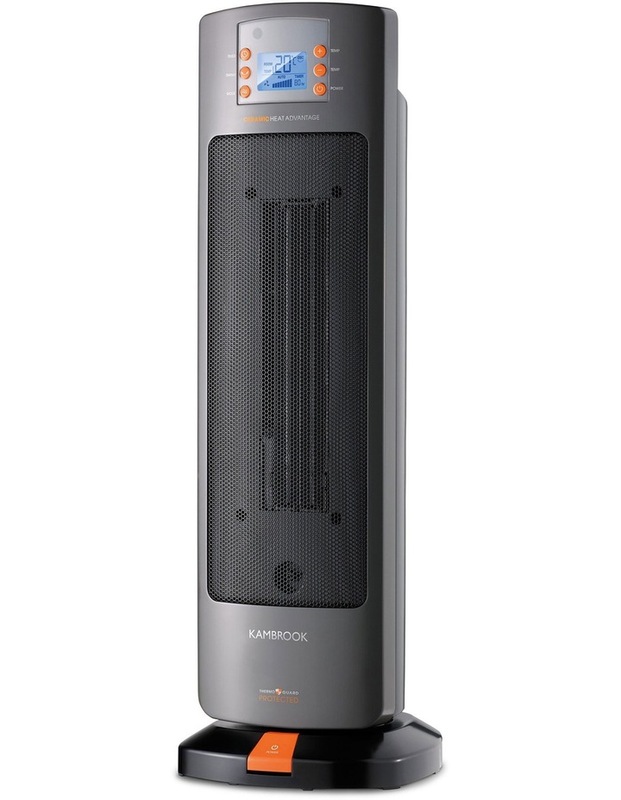 Featuring a variable thermostat control and two heat settings, the Kambrook KCE340 Ceramic Tower Heater is ideal for additional warmth when and where you need it. The LCD digital display panel with a room temperature feature and eight-hour programmable auto off-timer provides the tools to precisely control the temperature of a room. The safety tip-over cut-out switch and ThermoGuard protection result in a safer appliance, which can be moved easily from room to room using the convenient carry handle. Includes 12 month replacement warranty.